If you have wanted any of these things, I know that it can be tough to get started. It can be especially challenging if you have never embarked on a fitness undertaking before and it is very overwhelming these days with all of the information on these subjects readily available. This is why I wrote Health And Fitness tips That Will Change Your Life. In this book I have mapped out an entire year of easy changes, tips and tweaks that you can start to add to your lifestyle every two weeks. Some of these changes are very small and hardly noticeable but they have a huge effect on your health and fitness efforts! 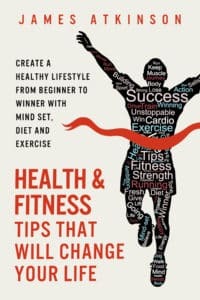 Health and fitness tips that will change your life is designed for the very beginner but anyone who is stuck in a rut, hit a plateau in their health and fitness efforts will almost definitely find some inspiration in this book. I would love to share your journey to health and fitness success with you! So please click the buy now button of your preferred online book retailer below and let’s get started! I really look forward to hearing of your achievements and please remember that I am here to help where I can.